NIA CHARLESTOWN NEVIS (October 24, 2016) — Hon. 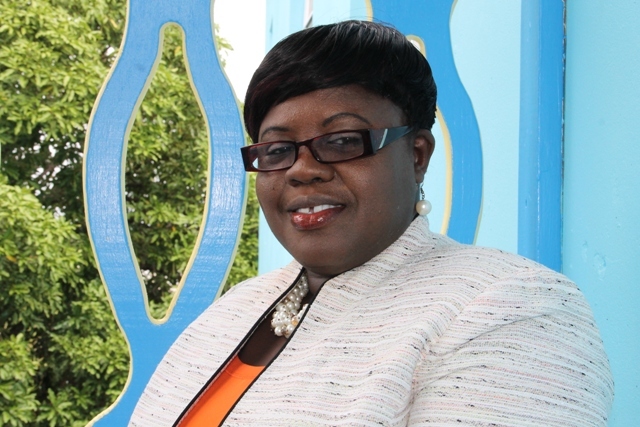 Hazel Brandy-Williams, Junior Minister in the Ministry of Social Development in the Nevis Island Administration (NIA), will attend the 13th Session of the Regional Conference on Women in Latin America and the Caribbean in Montevideo, Uruguay. It will be held at the Radisson Montevideo Victoria Plaza Hotel from October 25-26, 2016. The conference is being convened by the Economic Commission for Latin America and the Caribbean (ECLAC), the Ministry of Foreign Relations of the Oriental Republic of Uruguay and the National Institute for Women of Uruguay. Gender equality, women’s autonomy and sustainable development: progress towards implementation, will be the meeting’s main focus. However, challenges of the Regional Agenda on Gender Equality, in the context of the implementation of the 2030 Agenda for Sustainable Development will be discussed. The conference is convened every three years, to identify the situation of women’s autonomy and rights at the regional and sub-regional levels, present public policies recommendations for gender equality, undertake periodic assessments of the activities carried out in fulfilment of regional and international plans and agreements on the subject and serve as a forum for debates on relevant issues. The Regional Conference on Women in Latin America and the Caribbean, is a subsidiary body of ECLAC. Its sessions are attended by representatives of government, civil society and international agencies. It serves to assess fulfilment of the commitments made on gender equality and women’s empowerment in the region. Minister Brandy-Williams, is accompanied by Mr. Anselm Caines, Director of Sustainable Development in the Ministry of Social Development. He will be exposed to the Sustainable Development Agenda. They left the Federation on October 23, 2016, and are expected to return on October 30, 2016.